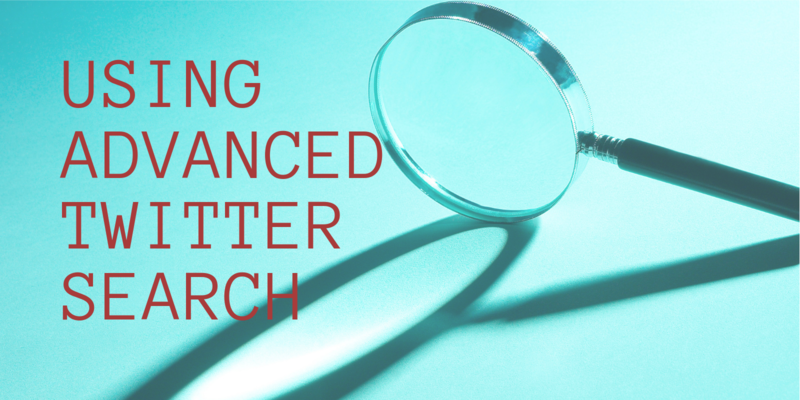 First, Twitter’s Advanced Search page is a simple and quick way to narrow your search results. Most of the time that’s all you need. But if you are looking for an audience, a thought influencer or want catch the eye of a new community, you’re going to need more control. 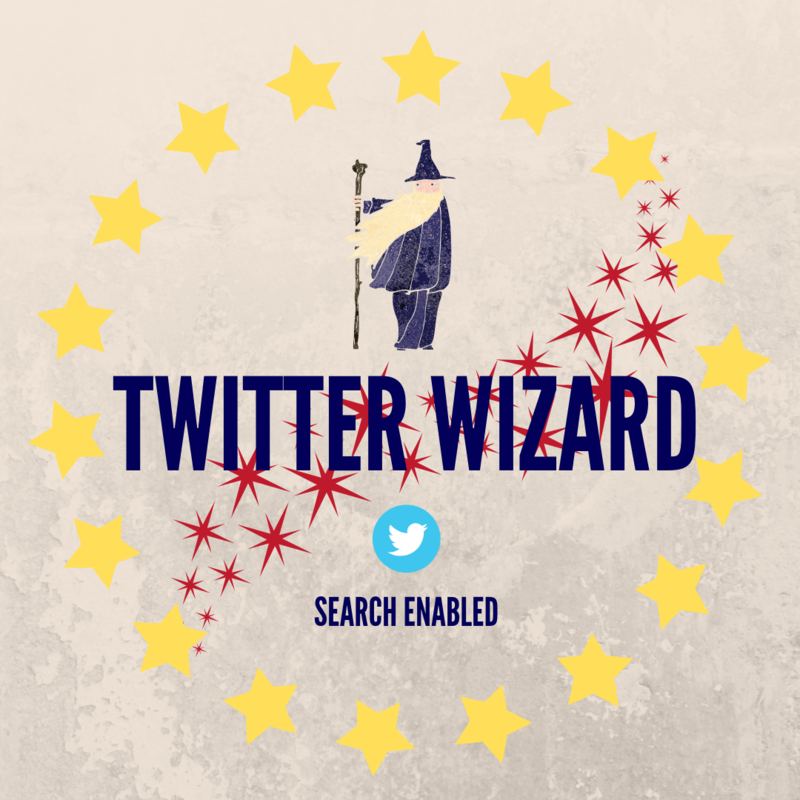 Use filters, Boolean search operators and a few other tips to earn your Twitter search wizard badge. Use filters to narrow your search. One filter I use a lot is “filter:follows”. 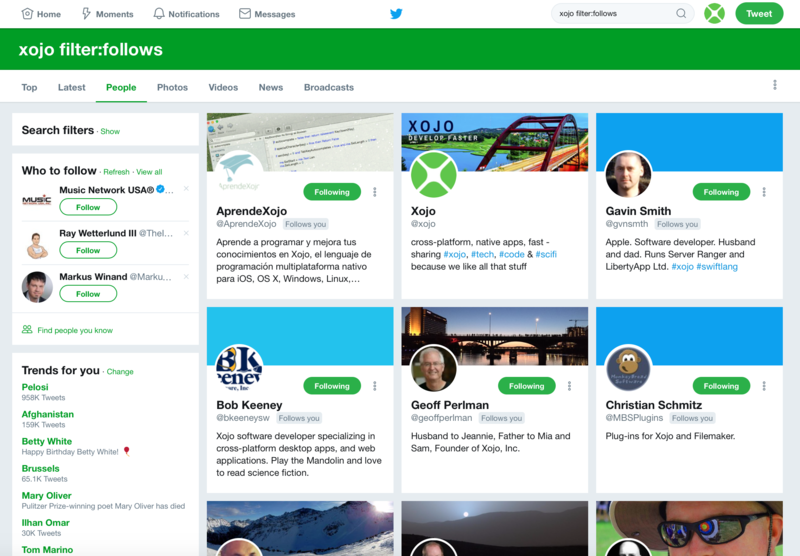 For example, searching “xojo filter:follows” to get tweets including the word “xojo” but only from accounts that follow @xojo. A great way to find out what people in your community are talking about. Click over to People to see everyone who has the word “xojo” in their profile who also follows @xojo. Move along the top bar to further limit the results by Photos, Videos, News…etc. Note: Leave off the @ when using from and to. Of course you can add keywords to filter results, for example “xojo from:tdietrich” will show you our tweets that include the keyword xojo. “Thankfully time travel doesn’t exist” will bring up that exact phrase. Try it! Do you have common combinations you use? Or helpful filters or operators I didn’t list? Share them with us @xojo. If you are interested in learning more about using using social media to promote your app or brand, check out these posts: 3 Things Developers Need To Release Their App Right, App How To: Packaging, Selling & Marketing, and Free Marketing! 4 Practical Tips For Developers New To Twitter .